The Republic of Nauru is a remote island approximately 40km south of the equator in the central Pacific. With an area of 21 square kilometres and a population of 10,000, Nauru is home to 10 schools, all operated by the Department of Education. Nauru has identified increasing gaps in the supply of quality teachers proficient in subject content and pedagogy to achieve the country's desired learning outcomes. As a result, there has been a heavy reliance upon expatriate teachers on the island. 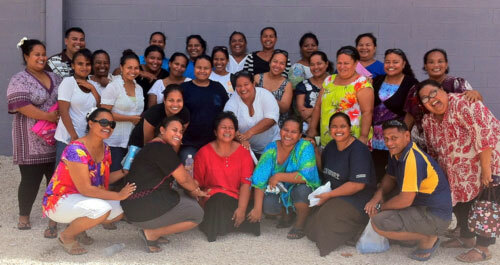 In 2013 UNE won a tender to develop innovative programs to train local teachers in Nauru. Whilst technology has provided isolated and remote areas the potential to participate in online education, UNE acknowledges that successful delivery requires in-depth understanding of the characteristics of the learners, their motivations, and the day-to-day environmental, cultural and community factors influencing their studies. 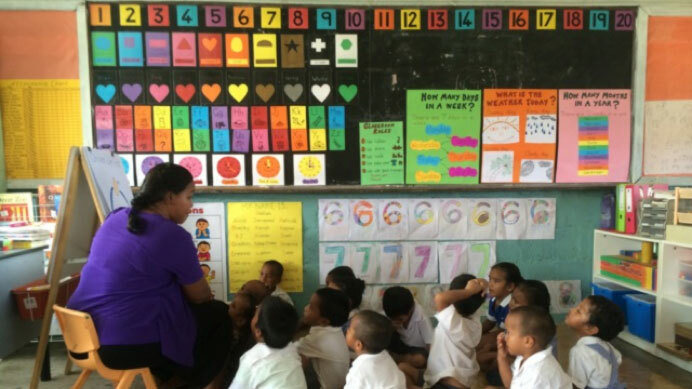 Large teacher education program for pre- and in-service teachers in Nauru. Program consists of two-year Associate Degree of Teaching (Pacific Focus) with further articulation in two-years to a Bachelor Degree of Teaching (Pacific Focus) with pathways in Early Childhood, Primary, Secondary, and Special Education. Four-week international professional experience for Nauruan teachers in Australian educational setting. Pre-service teachers at UNE are provided the opportunity to complete a professional experience session in Nauru, working alongside a local Nauruan teacher with external UNE teacher supervision. Sustainable support processes for in-country tutors to facilitate the completion of future Nauru teaching qualifications. Address major teacher shortage in the Republic of Nauru (decrease current dependency upon expatriate teachers). Improve subject, content and pedagogical knowledge of in-service teachers. Build local teaching and mentoring capacity from within the community. Provide successful candidates with internationally recognised teaching qualification (which meets Nauruan constitutional mandate for teachers). Provide culturally responsive and appropriate teacher education tailored specifically to remote Pacific Island context. Flexible delivery combining online and classroom teaching with mixed-mode supplementary support. Diverse team of experienced UNE academics provide content-specific workshops and intensive schools in Nauru. 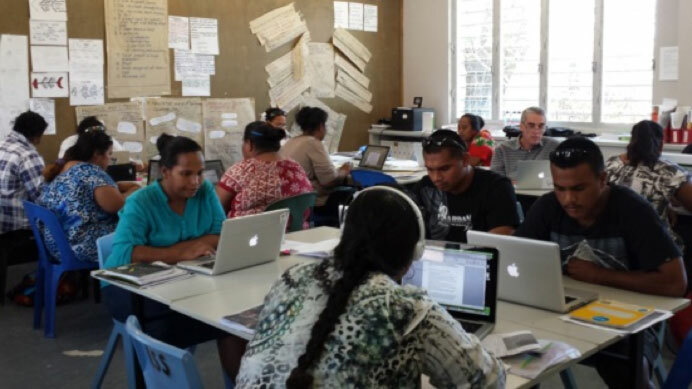 Dedicated UNE support team contextualises unit content specifically for Nauruan students. Delivery and installation of state-of-the-art IT equipment and internet/networking capabilities to provide students with resources needed to successfully complete online course work. Track emerging patterns of teacher change in the classroom as well as contextual factors that influence teacher education in the Pacific. Student, family, administrative and unit coordinator interviews. Monitoring and analysis of student participation in online learning platforms. Funding has been provided by the Government of Nauru with the support of DFAT in Australia and NZAID in New Zealand.